Looking for a small but mighty indoor infrared dome security camera? We have the one you are looking for, the i700 HD-TVI and the i700 960H. These two IR Dome Cameras have a unique feature called Electrostatic Discharge Protection (ESD) that means it will protect against shorts and stray voltage spikes from unreliable power supplies or nearby lightning strikes (up to 5000 Volts). Both of these mighty cameras have 24 infrared LEDs that will project infrared lighting out to as much as 50ft to 60ft on a dark night. The day/night feature will turn on automatically at dusk and off at dawn via the built-in daylight sensor. So this camera gives you true color and excellent clarity during the daytime and turns to a black and white picture with infrared lighting at night, and separate glass panes on the front of the camera help to eliminate any glow from the infrared LEDs from being seen in the picture. The i700 HD-TVI version with 1080p resolution 2.0 Megapixel camera is capable of transmitting video up to 1500 feet over coax cable with a 3.6mm lens gives approximately a 75 degree of view, Plus – camera menu control over a single coax connection. The i700 960H version has a 3.6mm lens. With this camera, the on-screen display menu can be accessed thru the wiring harness that is extra long to insure you can penetrate any wall thickness so that you have access to the joystick and connectors. 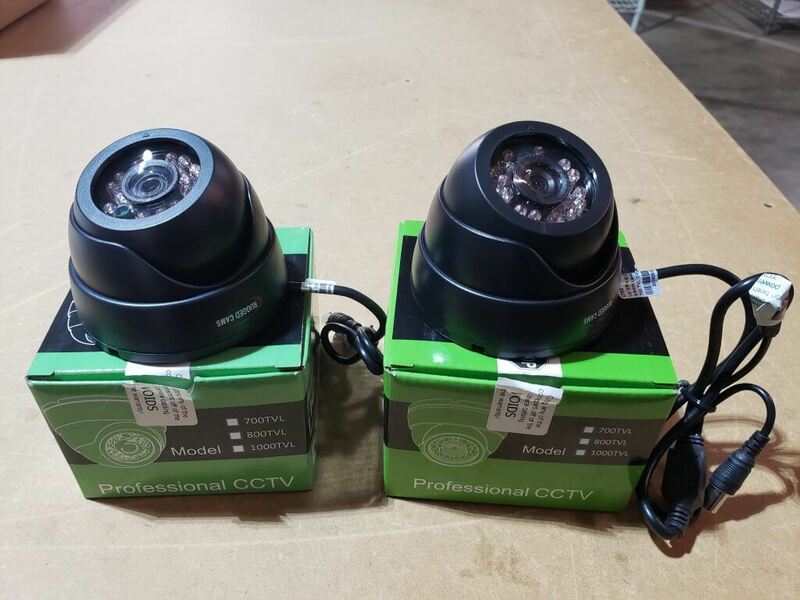 To find out more about one of these two dome cameras, you can contact one of our Design Engineers here at RuggedCams toll-free 866-301-2288 or stop by our website. This entry was posted in Blog and tagged Indoor IR Dome Cameras.